Designed with pet owners in mind, the Compact C1 Cat & Dog PowerLine vacuum cleaner will target dust, dirt and animal hair, as well as common odours that you might find in your home. Featuring a rotating roller brush, this impressive tool is perfect for picking up your pet’s hair. 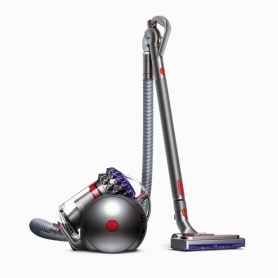 It also integrates Miele’s Active AirClean filter to help deal with even the most stubborn of odours with an PowerLine motor for a deep clean every time. Select the optimum cleaning setting with the easy-to-use 6 stage rotary dial. The Compact C1 features an Active AirClean Filter with a indicator that prompts you to change the filter after one year to ensure you’re still getting optimum performance every time you clean. And with Miele’s innovative HyClean 3D Efficiency dust bag, this versatile vacuum automatically locks away dust for optimum hygiene. 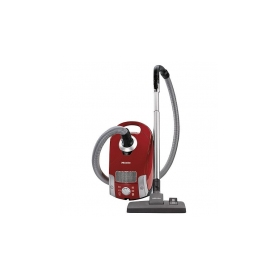 As well as delivering a deep clean, the Compact C1 Cat & Dog PowerLine vacuum cleaner is designed for maximum convenience. A 10m operating radius makes it easy to clean large areas of your home, without having to change sockets when moving from room to room. 3 easily secured accessories ensures every inch of the home can be cleaned.